Launched in 2015, BetBull are a mobile only betting service that aims to bring together our love of sports gambling, social media and, of course, the constant attachment to our smart phones and tablets. The site has already proven popular and continues to grow month-on-month. That popularity caught our attention and our team thought it about time we downed tools on the established names in the industry and turned the spotlight on an ambitious firm who put innovation, technology and customer care at the forefront of their thinking. The terms and conditions attached to using BetBull are what you would expect from any online bookmaker and it’s nothing that’s going to catch you off-guard here. You must be 18 years or older to register and use the site, you must be a UK native and your player account and payment account must be registered to the same name. You may also be asked to verify your details after registering and, again, this is becoming commonplace in the world of online betting. Often new players are allowed to register, deposit and bet and will only be asked to verify when withdrawing winnings. This doesn’t sit well with some and we can see why – easy to get money in, a bit more difficult to get it out again – but the measures are all in place to protect the customer from fraud and the company from underage gambling. Verifying your account is simple and can be done in seconds. Simply take a snap of your photo ID – diving license or passport, for example – and email it to the customer service team. They’ll make a quick check, lift the limitations placed upon your account and there will be no looking back. These measures may seem a little arduous, but BetBull is a legit company and we’d rather jump through a few hoops in the knowledge our money and personal details are safe. Furthermore on this theme, note that the parent company of BetBull is licensed and regulated by the UK Gambling Commission. BetBull sports markets may not be as in-depth as you’ll find with some of the bigger bookmakers, but they do have all major sports covered and if you prefer to punt on the top games and matches rather than the likes of Reality TV and politics you really won’t notice the difference. They have the likes of football, American football, Aussie rules, basketball, boxing, cricket, darts, Formula 1, ice hockey, MMA, rugby league, rugby union, snooker and tennis. In each category you’ll find the biggest and best competitions, including Premier League, Scottish Premiership, La Liga, Serie A, Bundesliga, Ligue 1, Champions League, Europa League and World Cup. Sticking with football and there’s lots to bet on. Access the page and scroll through the fixtures listed, adding them to your accumulators as you go. Inside each match there’s the ability to bet on the likes of final result, first goal scorer, correct score, half-time/full-time, handicap, total goals and much more. There’s more than enough here to give you an interest on the live match and it’ll keep you watching until the final whistle. There is a lot of information here with an ever-increasing number of matches being covered but we found the best way to filter the games you’re most interested in is by clicking on the coupons tab. Some of the options available here are result, goals over/under and both teams to score. You’ll often find the most important ties towards the head of the list and this is handy as it saves you having to flick through an extensive list to find the one match you’re after. Elsewhere and you can also punt on boxing markets such as round winner, and method of victory, set betting in the big tennis event of the week or ante-post in an upcoming Grand Slam. Build a rugby acca from the top leagues in Europe or look ahead to the Six Nations and World Cup. There are loads of NFL Superbowl betting opportunities and the cricket coverage means you can have your say on Test match winners or ODI games. When using the site it becomes obvious football is their baby. Programmers and the trading team seem to have built their business plan on the strong foundations of the beautiful game. As well as the markets we have already spoken about, there’s also in-play betting – we’ll write more on that shortly as it deserves its own section of the review – and the odds are very competitive. Don’t just take our word for it, check out the prices attached to the games you’re most interested in and check an odds comparison website. You’ll find BetBull more than hold their own against the big boys in this department and are ambitious enough to meet them head-on in a number of ties. BetBull are all about loyalty and looking after the customers who use their site most often. A bookie who rewards you just for placing bets, rather than following the worn-out example of the competition and promising new customers the world only to throw them on the scrapheap after the sign-up process is complete. The more you bet on BetBull and the more winners you find the more loyalty points you’ll accumulate. This will lead to you building your offers and promotions which include enhanced odds and special bets. Work your way through the various levels and you’ll see your bonuses improve at every rung. You can track your progress on the site where you’ll also find your current deals and how much your returns can be boosted by. This works quite well for both parties as the firm reward players actually using their site, rather than those just there to take advantage of the welcome bonus and the customer is rewarded for doing the basics – betting. We could tell you how great the promotions section of the service is but, in truth, this is always being improved and tweaked to ensure it remains competitive in the market and gives customers a premium deal. Therefore, the best way to get the most up-to-date information on this is by visiting the website and checking for yourself. We guarantee you won’t regret it. Online players have become so obsessed with cash-out that many get annoyed when its not offered on their bet. We always like to remind those punters that bookies don’t have an obligation to offer you a cash-out option and it’s more a tool for them to save money and avoid having to pay out a bigger sum if your bet wins. Thankfully, BetBull customers enjoy a generous cash-out service and it’s offered on just about every bet placed, including football accumulators. If you are new to cash-out and don’t yet have a full understanding of what it involves, we’ll help bring you up to speed and explain how it could lead to you landing more profits over the course of a season. Sticking with football here as we think cash-out works best on football accumulators and has changed the way we bet and place multiples. Say you have a five-fold – for example – and going into the 80th minute you check the scores to find four teams are winning comfortably but the fifth leg is locked in a draw. Time to get nervous, or time to act? You decide. You can wait and hope the fifth team scores late in the match to settle the bet as a winner or you can take the cash-out being offered. A sum of money that won’t be as big as the returns first promised but will still be a healthy profit and a lot more than your initial stake. The decision is entirely up to you. If you cash-out – take the money and run – it won’t matter if the fifth leg wins, draws or loses, the money is in your hand and the bet is settled for both parties. In its simplest form it’s a simple stick or twist situation. We know BetBull is a mobile only betting service, so it goes without saying the app has to be as close to perfect as you can imagine. Thankfully for users the team have brought in the best programmers to create a sleek, stylish, easy to use and, above all else, fast app that we found to be one of the best in the business. Following the steps laid out at the top of this article you’ll know downloading the app to android or iOS devices is very easy. If you are using an android however we suggest downloading the app through a link on the homepage of the main site as there’s an on-going issue between Google play and the betting industry. A bit of a nuisance, to be honest, but downloading from the site is just as easy as getting it from anywhere else and it’s just as quick. There’s no extra work involved here. Mobile betting at BetBull means you’ll have access to each and every market and can play when and where you like. If you have a reliable internet connection you can bet on sports pre-match and in-play when out and about, waiting on a train, on lunch at work, down the pub, at the stadium or lying in bed. Modern gambling is all about giving the customer the choice of when and how to bet and we’re delighted to say the BetBull mobile app is good enough to allow you the chance to bet at any time, day or night. There’s no lags, loading times or frustrating sticking points. Seamless. Betting is now as exciting in the final minute as it was before the match thanks to BetBull’s extensive list of in-play markets. Whether you are wagering on the most talked about match of the week or Saturday night’s big fight live you can jump in at any point with lots of markets trading throughout play. Odds are constantly being updated to match the flow of the game and it allows you to get a feel for how things are going before risking your cash. Watching the match on the big screen and notice a striker looks in the mood early on? Back him to score first, next or even bag a hat-trick. Maybe both sides are cancelling each other out with their negative tactics – have a play on no in the both teams to score market. If you are watching boxing and see a fighter has picked up a cut or damage to his face it’s always best to act quickly before the betting reacts. Bet on the opponent to win by KO/TKO and if you get in early enough you’ll get the jump on the traders and secure a bit of value. In-play betting has changed the way we watch sport and it’s great. If your bet goes down early there’s now no need to be glum, just place another on the same contest and hope for more luck. When visiting the BetBull site you’ll find the in-play list. Locate the game of your choice or odds that catch your eye and click bet. This is a great way to have an interest for small stakes without putting too much thought into it. In testing we were able to get a bet on the live football in-play in a matter of seconds. 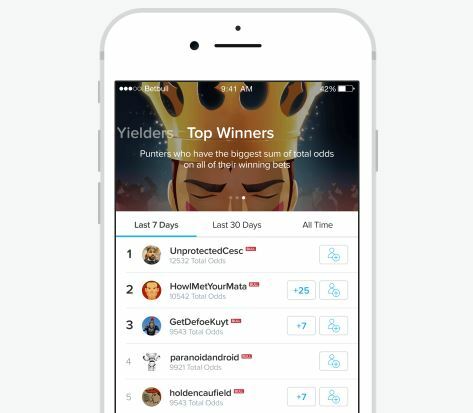 BetBull has a very interesting angle in that it encourages and promotes tipsters on its page, even updating league tables to show who is the hot-shot worth following this month. This means you can follow the advice of a well-respected tipster when placing your sports bets, jump on the bandwagon of a new name cutting their way through the league table or even give your own selections and crush the opposition. What’s great about this is it suits all types of players and all pockets. Whether you’re a big-stakes player who likes to win big or a penny punter after a passing interest to brighten up your weekend, you’ll find something for you at BetBull. If you are a sports betting judge you can prove it by giving predictions and getting involved in the league. If you are a novice worried about losing your cash due to a lack of knowledge it’s easy to put your trust in a proven tipster who knows what they are talking about. There’s no shame in copying bets, that’s for sure, especially if they are winning bets. Like the sports markets, there may now be as many options to manage your money as the top dogs but there’s more than enough to ensure you can bet without hassle and they are all secure with no risk posed to your personal details or account information. The usual methods are covered – credit and debit card – and they give you instant access to your cash meaning you can log-on, add funds and bet without delay. When collecting winnings however you are subject to the usual five-day waiting period and that’s the same regardless of which bookmaker you use. To speed things up a bit you can take advantage of one of the many new eWallet services such as Paypal, Neteller and Skrill. These also allow you instant access to your funds when betting, so you can get your money on straight away, but the main benefits come when withdrawing. Many eWallets mean you can have winnings in your bank account almost instantly and that’s why they continue to grow in popularity with online gamblers. Please read the full T&Cs when deciding on your payment method as some third parties apply a charge at the other end – taken out when transferring to your bank – and some don’t allow you access to the welcome bonus due to past misuse. Click the help tab at the top of the homepage and you’ll find the different ways to contact customer services. If you have a problem that needs solving or a general betting query you can send the helpful crew an email, assess FAQs – more on this below – or open the 24/7 Live Chat feature. Live Chat puts you in instant contact with the customer care team and its easy to use. Simply type your message into the conversation box and you’ll get an instant reply. Another positive to using this service, other than the speed, is the fact the chat box can’t be closed until you are fully happy and the conversation has come to an end. Here are some of the FAQs as published on the BetBull site. Remember to check these at BetBull before taking advantage. At BetBull we think that members of our social betting community deserve to be rewarded. I mean, who doesn’t like a little gift every once in a while? That’s why we’ve got Power Ups. Power ups are rewarded on the spin wheel and regularly dished out as part of campaigns. You can see the expiry date of each power up detailed on the Power Up Card itself. Remember that you can only apply an odds boost or insurance to a bet as long as it’s an accumulator with four or more legs and the odds are 4/1 (5.0) or greater. None of the events should be live. We recommend you place your bet not less than 30 minutes prior to the kickoff of the first event in your ACCA in order to be able to apply your Power Up token to your bet. Minimal Stake Amount is £1, Maximum – £100. To apply a power up, place your bet and on the bet receipt screen you will be prompted to either Spin Wheel or Pick Power Up. Fancy reducing the risk on your next accumulator? Insurance cards are for you. You can get insurance cards that cover either one-, two-, or three-games. They work by refunding your stake as a free bet if part of your insured bet loses. For example, say that you build your weekend accumulator and it contains United, City, Huddersfield and Palace to Win. You then apply a one-game insurance to your accumulator. If one of the four teams, say Palace, let you down then your accumulator stake will be returned as a free bet. What is Full Acca Insurance? 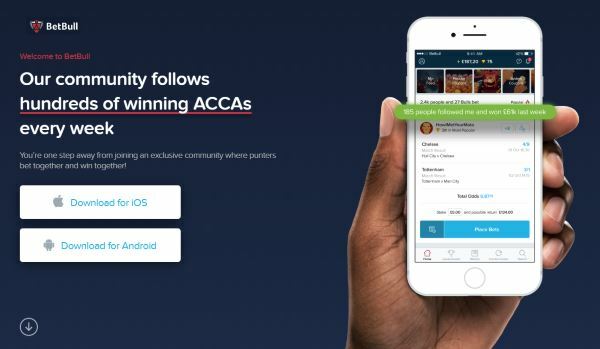 The Power Up that everyone wants to see in their account is the Full Acca Insurance card. By applying Full Acca Insurance to your accumulator bet you can be safe in the knowledge that if any leg loses then you will get your stake back as a free bet. It’s as simple as that.